During the second half of the twentieth century, popular culture and the mass media gained a huge significance in American culture. Pop art that was a sign of the times: a product, a tribute to art history and critique of the social situation. In the sixties, the New York art scene was very diverse, with people coming from different places, backgrounds and art disciplines & movements. The young John Clem Clarke was always fascinated art & advertising. 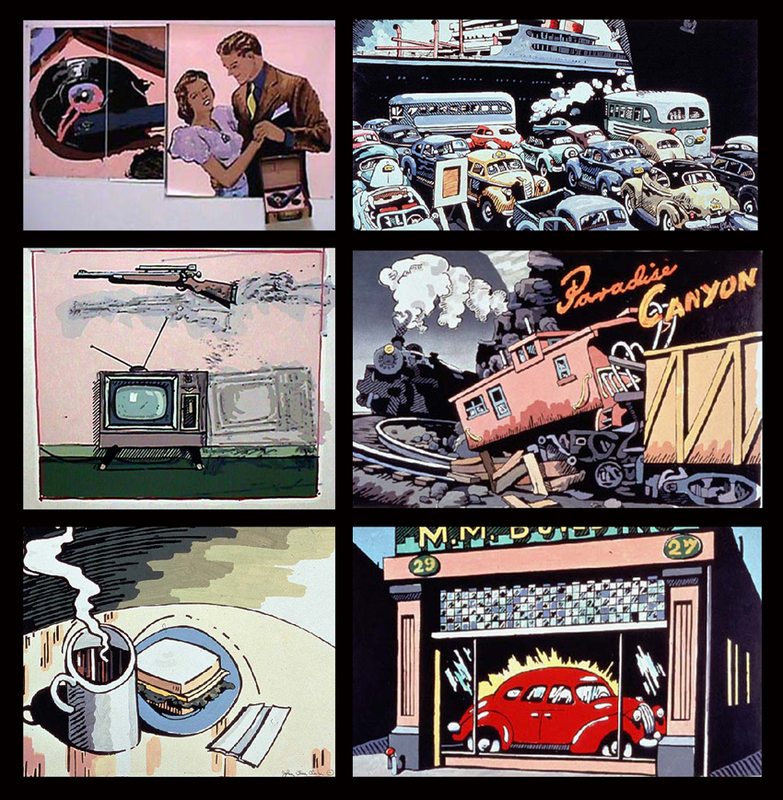 He moved to New York, started painting and quickly made a name in the NYC pop art scene. Art about art is a continuous thread through Clarke’s work. His series re-working the Old Masters, such as Velasquez’s “Las Meninas” and Rembrandt’s “Night Watch” are popular icons of the late 60’s. 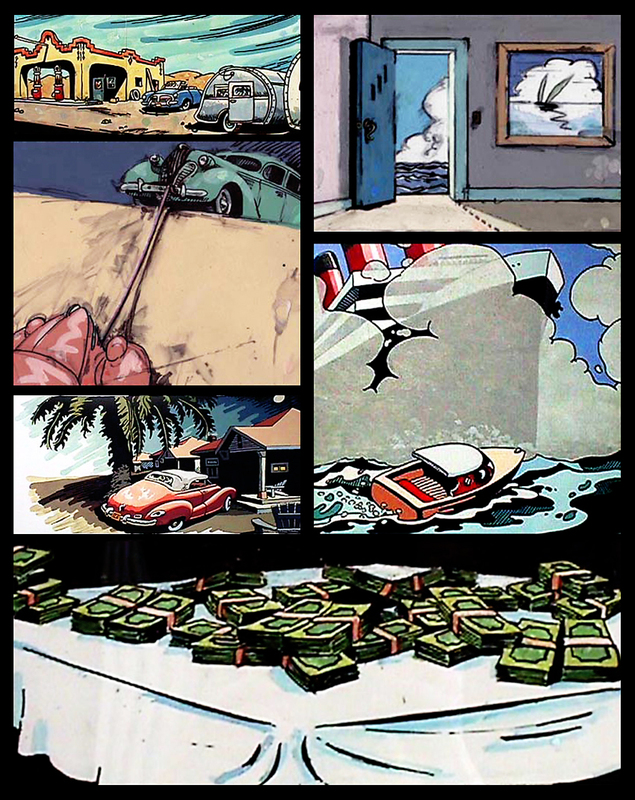 Clarke’s works, a mix of photo-realism and comic style with a pop art imagery. hang today in major museums as NYC’s Metropolitan Museum of Art, The Museum of Modern Art & Whitney Museum of American Art, Chicago’s Museum of Contemporary Art, LA’s County Museum and Washington’s Hirshhorn Museum. 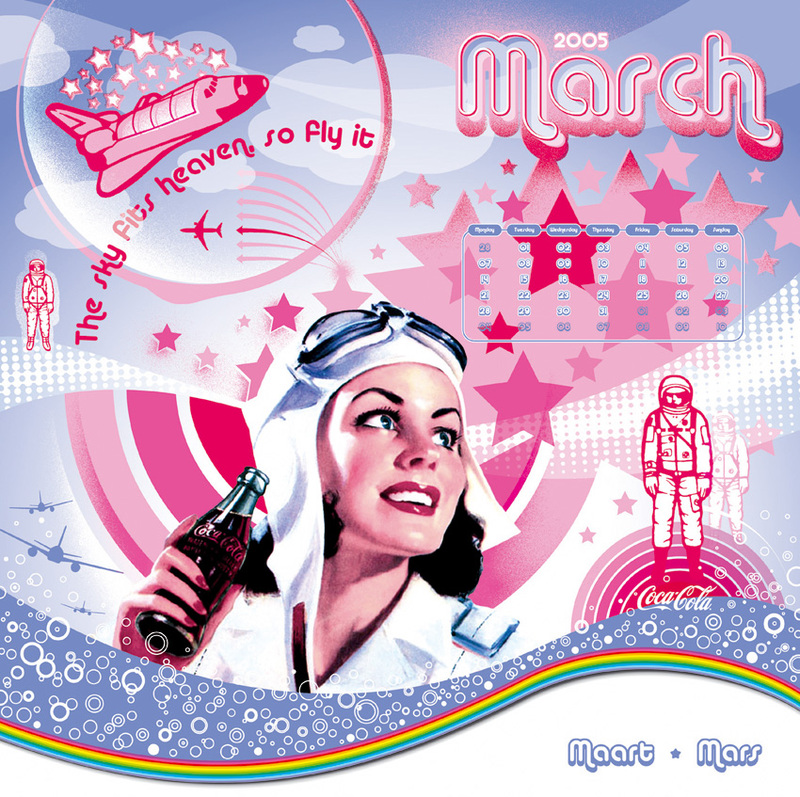 Clarke works in the pop art tradition of Andy Warhol, Jim Dine, Roy Liechtenstein & Tom Wesselmann, drawn on the graphic vocabularies of commercial modernity: “I play back and forth using unique objects and a mass-produced presentation style. You might say that ideas I express are a lot more complex than the apparently simple style I use to express them”. Speed is vital to the freshness of John Clem Clarke’s works, and animation is the key to his style. Every line is alive, no edge is ever straight. The large size of his artworks plays an important role in the transformation of Clarke’s illustration-based style into high art. On weekends, Clarke still roams around flea and antiques markets, looking for vintage retro objects, advertising material and photographs he can use as a point of departure for his artworks. The great ads from the fifties and early sixties are a big source of inspiration: “I try to make the paintings seem as commercially produced as possible. 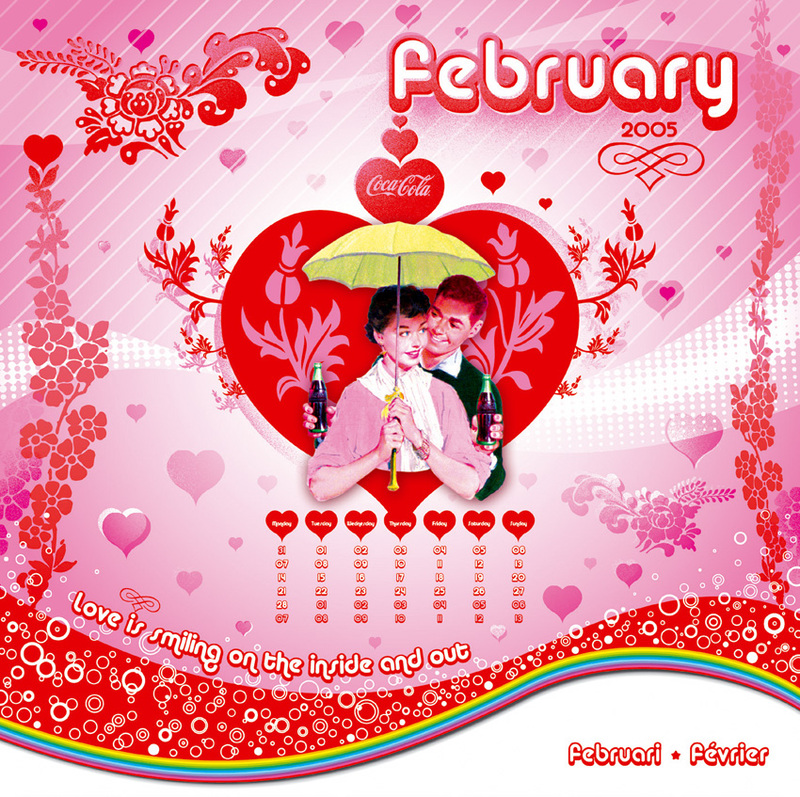 People grew up looking at commercial illustration and print advertising, so they are comfortable with it as a visual style. I make art in a way that people find it immediately accessible”. Clarke found his future as an artist in his past through the subject matter, themes and styles of forties, fifties & sixties. But Clarke’s works also speak of the present, the moment he creates them, by his vision & the personal touch of his brushstroke. 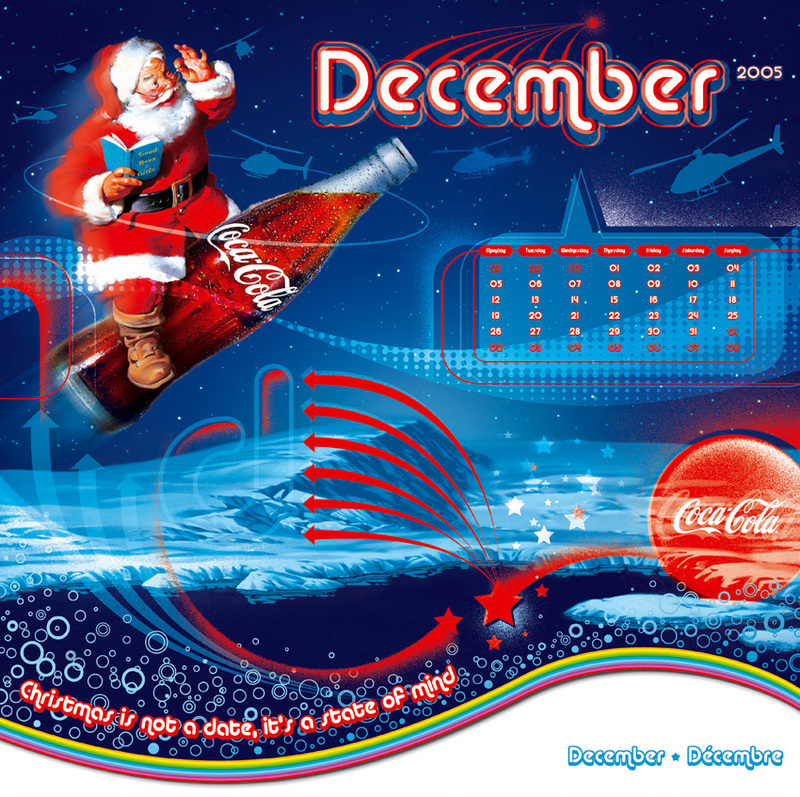 Coca-Cola calendars go a long way back. The first one was produced in 1891, featuring an attractive young woman wearing a fashionable dress and holding a tennis raquet. Over the years, Coca-Cola would introduce hundreds of “Coca-Cola Girls”, holding the most different objects such as skis, ice skates, a pen, fan or umbrella and of course a glass or bottle of their favorite soda drink. From the 1900’s, Coca-Cola also sometimes turned from pretty but anonymous girls to show biz stars. Lillian Norica, a Metropolitan Opera star, was featured on calendars starting in 1904. Another early favorite was legendary actress Hilda Clark. By the 1920’s the Coca-Cola calendar girls were posing at activities, which included baseball games and various social events. 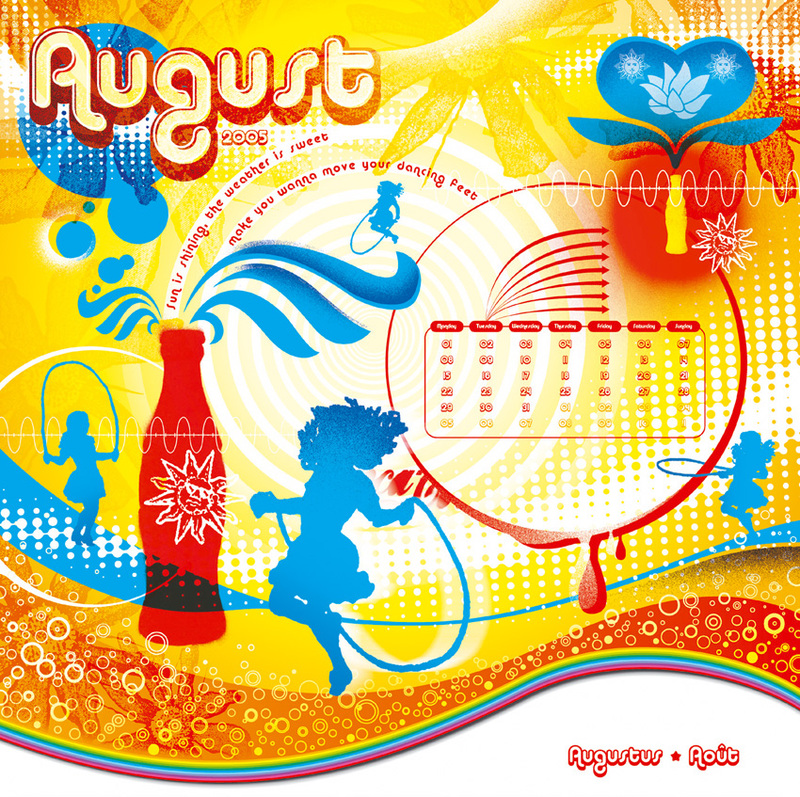 In the 1930’s, Coca-Cola took a somewhat higher road by calling upon leading artists of the time to contribute illustrations for their calendars. Norman Rockwell illustrated Huckleberry Finn in 1932 and used similar subjects for the company’s calendars during that decade. 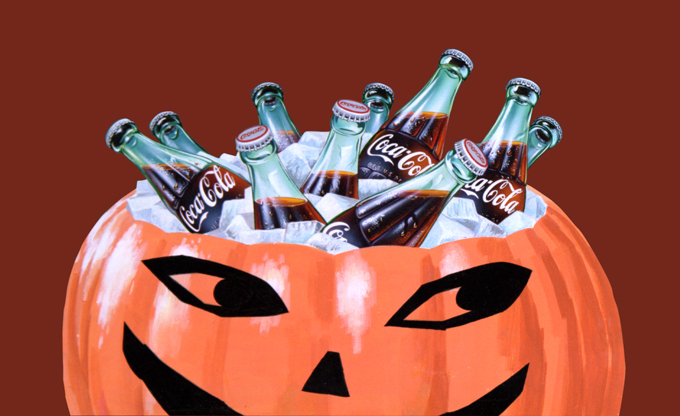 Other famous illustrators for Coca-Cola during the 1930’s included Frederic Stanley, N.C. Wyeth and Bradshaw Crandall. 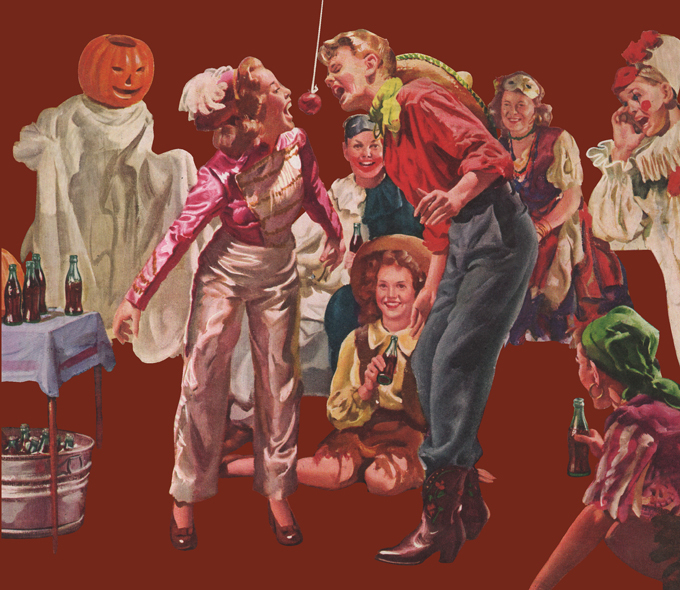 In the 1940’s, Coke invented Sprite Boy, a funny character wearing a bottle cap on his head and the era of beautiful Coca-Cola ladies continued, together with other subjects like Santa theme, which prooved to be an instant success. 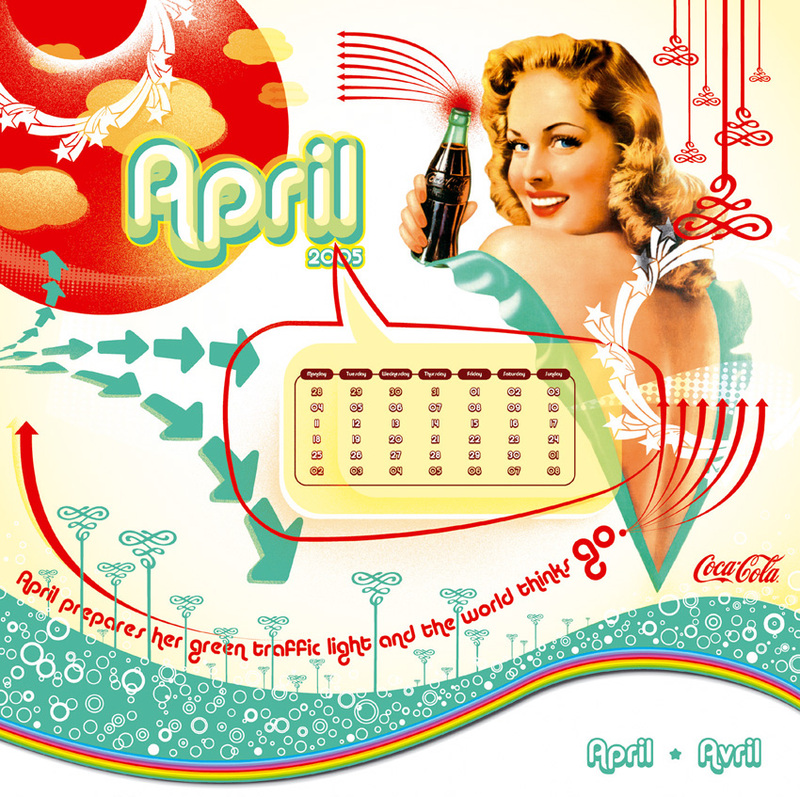 Coke added “zest” to their advertising slogans in the 1950’s, and also made available the visually charming illustrations as “home calendars”. 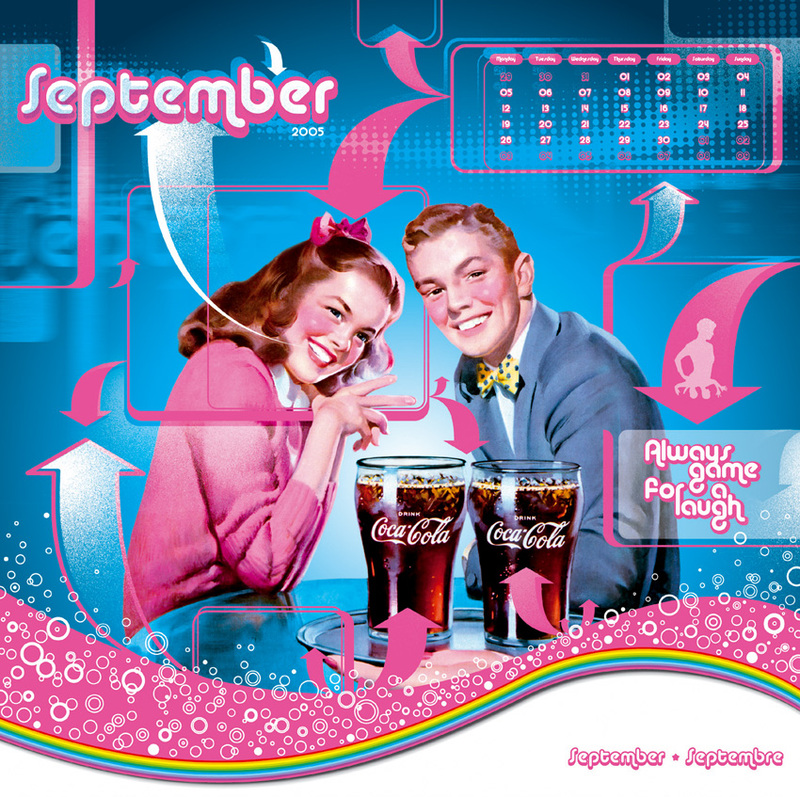 This Retro Pop Art Calendar designed by RockAndRoll Agency features “visual samples” from the iconic Coca-Cola calendars of the 1910s – ’50s. 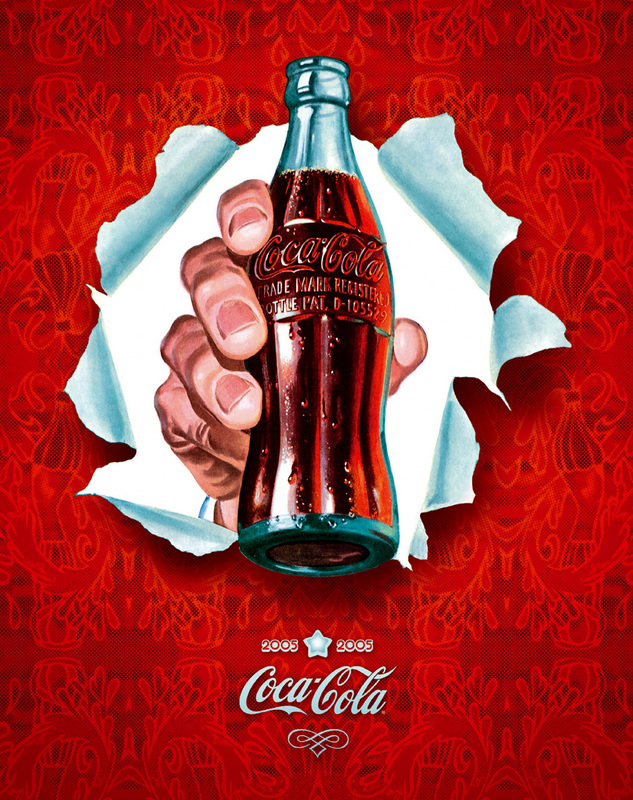 It’s a true tribute to the delightful Coca-Cola vintage illustrations, capturing the essence of having good, old fashioned fun. 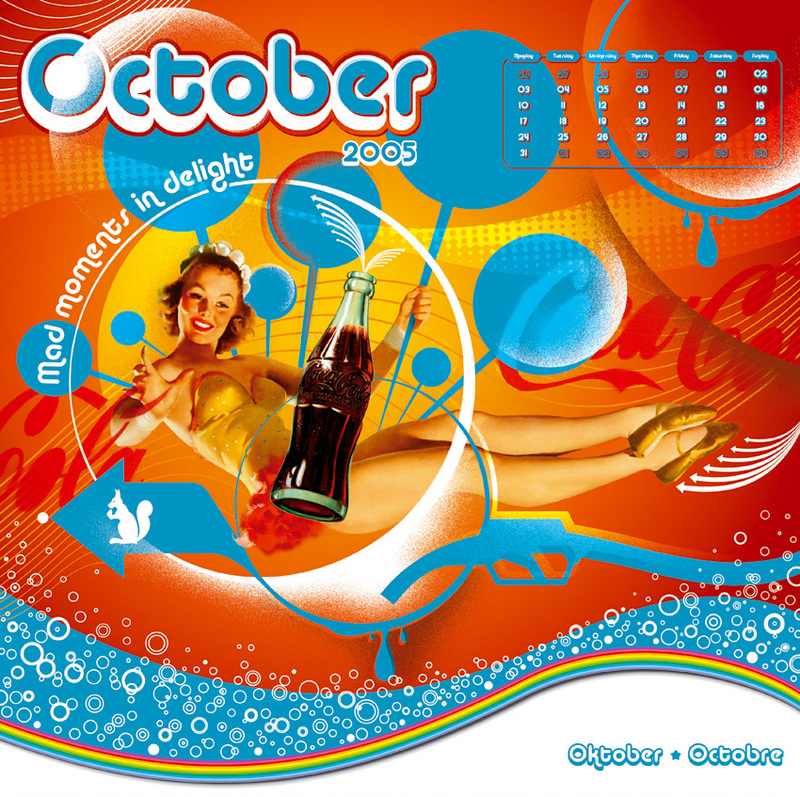 Concept & Realization Coca-Cola Iconic Calendar: RockAndRoll Agency. Project Team Coca-Cola: Muriel Soupart, Arnaud Tasiaux. Special Thanks to the Coca-Cola Collections Development/Archives Dept, Atlanta. 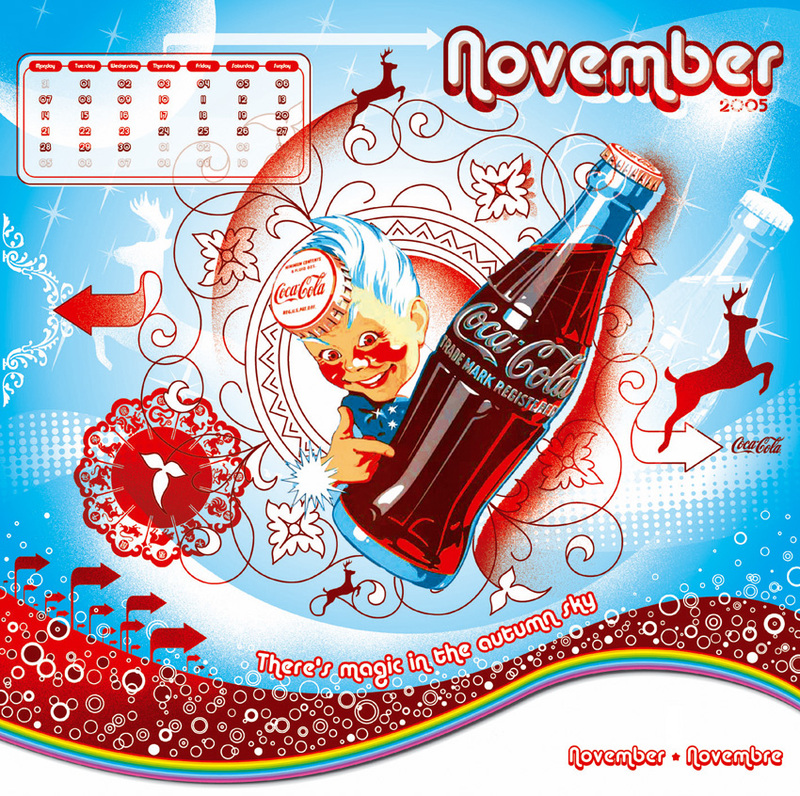 Classic Coca-Cola Calendars by Allen Petretti. 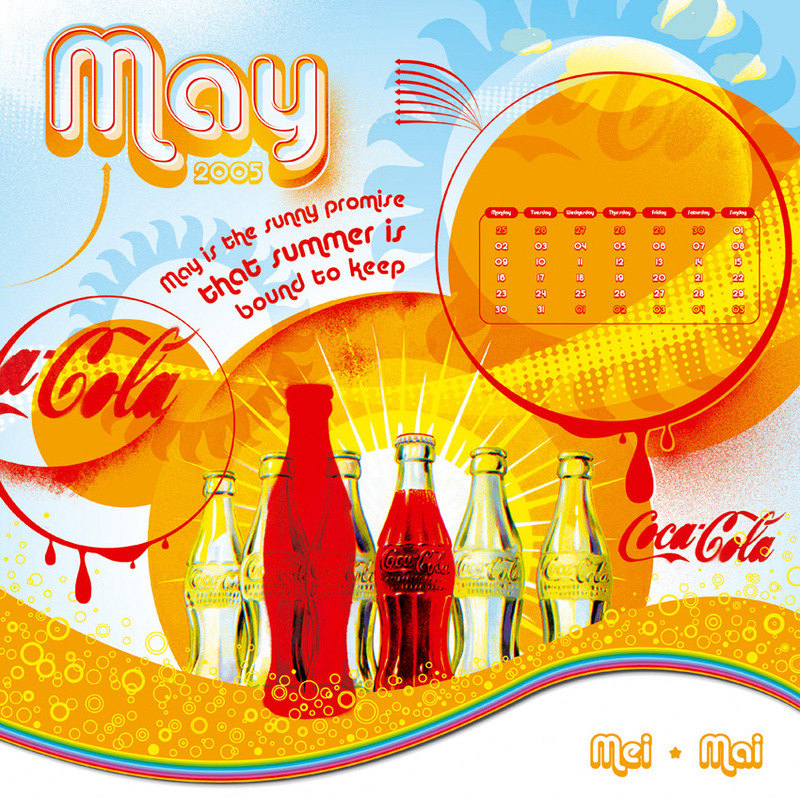 In this video, you can see a compilation of the early Coca-Cola artworks – always delicious & refreshing! 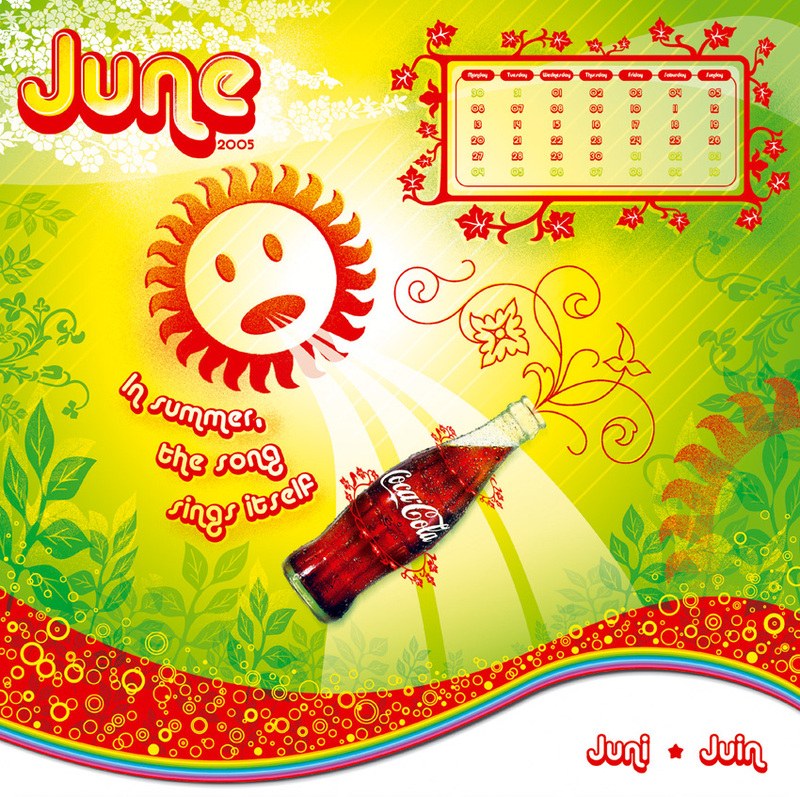 For over 120 years Coca-Cola has made it’s impression on the advertising profession. 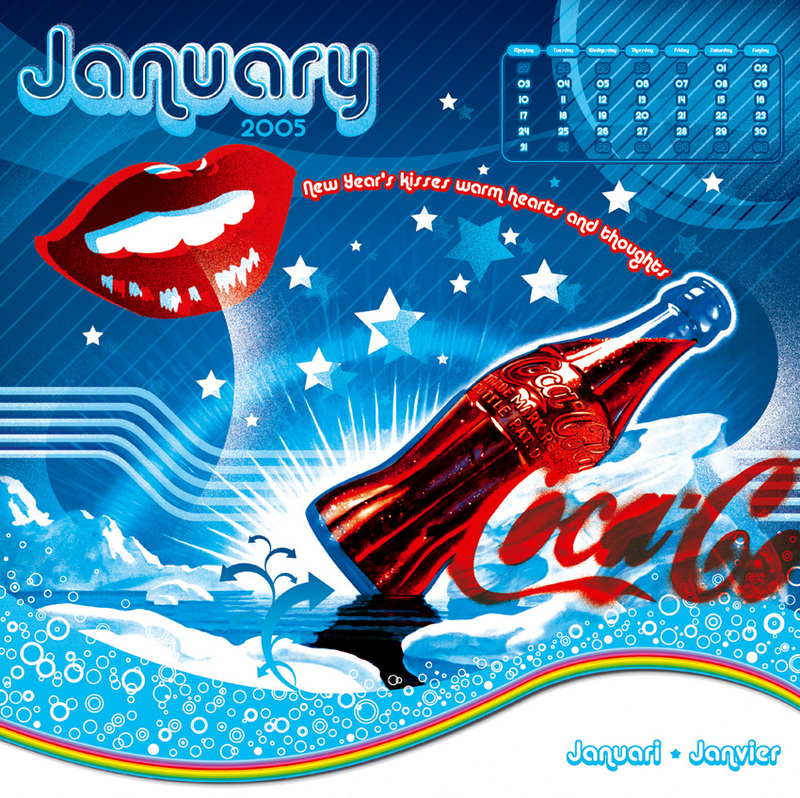 As a true pioneer, Coke has continued to stay a step above normal advertising, and has always seemed to be able to `key its advertising to the mood of society’. The first marketing effort was made in 1892, with a budget around $11,000, which was a great amount to be spent on advertising in that age. With that money, Coca-Cola hired sales men to travel around the country to promote the product for Soda Fountain owners to buy. In order to do this, Coca-Cola offered the fountain owners free merchandise such as decorative clocks, porcelain fountain urns, prescription scales, prescription cabinets, and showcases, all of which displayed the Coca-Cola name. They also handed out sample coupons so that people could try Coca-Cola for free. 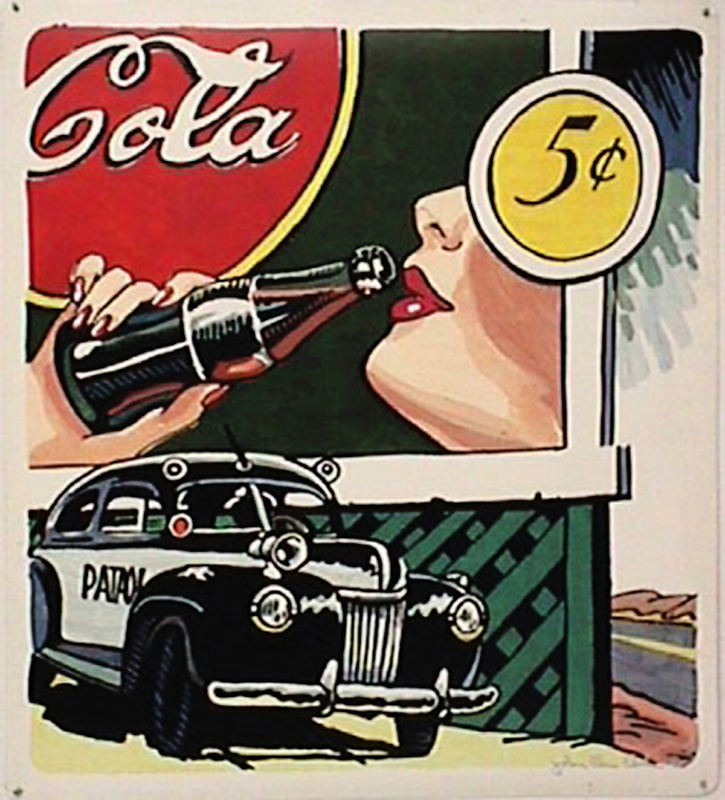 Some years later the Coca-Cola advertising budget reached $500,000. In 1909, Coca-Cola was considered the best advertised article of the year. 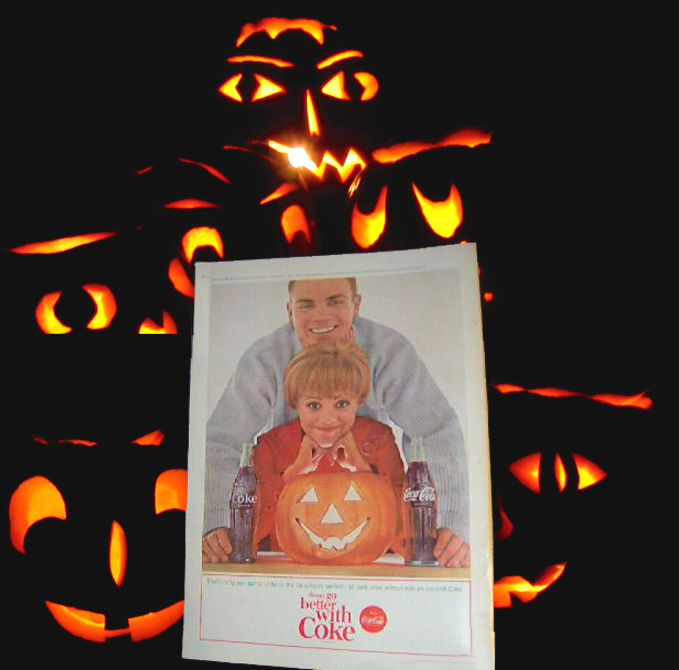 Coca-Cola Halloween – Trick or Treat? Halloween’s origins date back to the ancient Celtic festival of Samhain. 2,000 years ago, Celts believed that on the night before their new year (November 1), the boundary between the worlds of the living and the dead became blurred and the ghosts of the dead returned to earth. During the Samhain celebration, the Celts wore costumes, typically consisting of animal heads and skins. In Ireland, where Halloween originated, bonfires are lit as they were in the days of the Celts, and all over the country, children get dressed up in costumes and spend the evening “trick-or-treating” in their neighborhoods. After trick-or-treating, most people attend parties with neighbors and friends. At the parties, many games are played, including “snap-apple,” a game in which an apple on a string is tied to a doorframe or tree and players attempt to bite the hanging apple. Today, Halloween, is still celebrated today in countries around the globe. In Mexico, Latin America, and Spain, All Souls’ Day, the third day of the three-day Hallowmas observance, is the most important part of the celebration for many people. In the UK and several other European countries, the US and Canada, Halloween, which was once a frightening and superstitious time of year, is celebrated with fun for all ages.